David Macmillan is an entrepreneur with extensive experience building start-ups using public markets across multiple industries. Mr. MacMillan holds an MSc in International Economics from the University of Glasgow, where he graduated first in his class. He also holds a BA in economics from McGill University and is a and is a CFA® charterholder. Norm Lamothe is an entrepreneur with a diverse set of skills obtained through extensive industry experience in aviation and agriculture. Previous positions include Director of Sales for an international import/export and sale of aircraft brokerage, General Manager of an International Flight Academy where he managed a large fleet of aircraft and students across multiple locations and most recently as an Account Executive in the Aviation Insurance Industry where he earned his Canadian Accredited Insurance Broker (CAIB) designation. 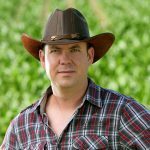 In addition to his role with Deveron, he lives on and manages his family’s diverse, multi-generational 500-acre farm, located in eastern Ontario, Canada. He sits on two local not-for-profit Boards, including the local Agricultural Society and is a past Professor with Durham College’s Food and Farming Program. Norm is a graduate of the University of Ottawa’s Telfer School of Business and is a licensed fixed-wing pilot. Jacob is a recent graduate of the University of Guelph where he obtained a BSc in Agriculture in 2015. Immediately after graduation, he entered Guelph’s MSc in Plant Agriculture program and is approaching its completion in 2018. 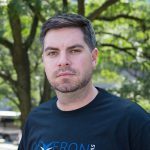 His time researching the potential of using UAVs to improve nitrogen fertilizer management in corn adds extensive experience in remote sensing to a diverse background in agronomy and agricultural research. He was raised on his family’s dairy farm in Waterloo County, ON where they grow corn, soybeans, cereals, and forages. 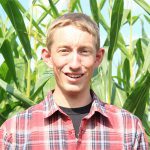 In addition to working on the farm throughout university, Jacob interned as a research scientist for 3 summers on both public and private research farms. He has been recognized by awards at multiple levels of the university, including the OMAFRA Highly Qualified Personnel Scholarship. James is the President of Greencastle Resources Ltd. (TSX-V: VGN) He is an exploration geologist with a 30-year career spanning the world in mining exploration and early stage company development. James also has a PhD in Geology from Queens University. Chris Irwin practices Securities and Corporate/Commercial Law and has been the Managing Partner of Irwin Lowy LLP since January 2010. Prior to his role as at Irwin Lowy LLP, Chris was the President of Irwin Professional Corporation (2006-2009), and was an associate at Wildeboer Dellelce LLP (2004-2006). Mr. Irwin advises several public companies, board of directors and independent committees on a variety of issues. He is also a director on many boards, including Kerr mines Inc., a TSX-listed issuer that has entered into a definitive agreement with San Gold Corporation to merge their respective businesses. Mr. Irwin was also a former director of Trelawney mining and exploration Inc. He was a former director of Southern Star Resources Inc., which was formerly listed on the TSX prior to becoming Gold Eagle Mines Ltd. and being taken over by Goldcorp Inc. in a $1.5 billion transaction. Mr. Dent is the CEO of Quinsam capital and Quinsam opportunities I. He is also a director of Acuityads, Omni-Lite, Calnano, and Tinley beverages. Previously Mr. Dent was Portfolio Manager at Matrix Asset Management Inc. (2003-2011) where he managed a small companies fund and strategic small cap fund. He was Director of Research & Vice Chairman at Yorkton securities (1996-2002), and worked at CIBC (1987-1996) where he was active in corporate finance, debt syndication and research and was ranked #1 small cap analyst in 1995. He graduated from Queen’s University with a B.Comm. In 1983 and an MBA from the Harvard business school in 1987. Jim Borland has been involved in the mining industry for more than 25 years. He co-founded Borland, Levand & Associates, a firm that has provided management services to clients in the mineral resources sector since 1998 including: Anvil Mining, Blue Pearl Mining and Glencairn Gold Corp. He was previously the manager of Research Communications for BMO Nesbitt Burns Inc. And Vice-President, Investor Relations for Boliden Ltd.
Jim is also a director of several publicly listed companies.